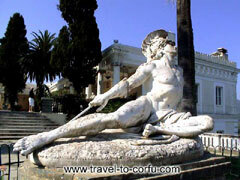 Are you familiar with Corfu? Tell others your opinion. Write a review. 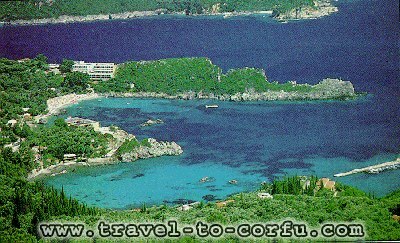 Corfu (Korfu) is one of the most beautiful Greek islands, and is called Kerkyra (Kerkira, Korkyra) as well. According to Greek mythology, the island got its name from the daughter of the river god Asopos, Nymph Korkyra, who was carried away by Poseidon. In Homer's Odyssey we read that Odysseus found shelter here in Corfu at the end of his wanderings and received the care of King Alkinoos and his people Pheaces and his daughter Nafsika. Corfu, the island of endless natural beauty, the island of song and music, of unending inspiration, a combination of the cosmopolitan and the traditional. The island will leave the visitor with unforgettable memories, excite him with unparalleled images and touch chords in his soul as he pays homage to the culture of the seven islands. How can we put in few words all the elements which make up this earthly paradise, this place which has been so generously blessed by God and which has been written about by so many illustrious writers and poets, like Lawrence Durrel among others. 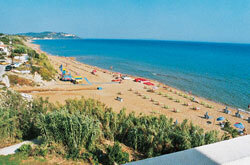 Fantastic beaches and a beautiful landscape (Corfu is called the green island). The exquisite island of ancient Pheakon entirely meets the desires and the needs of even the most demanding visitor. 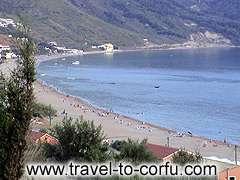 For island hopping Corfu lies North in the Ionian and the closest island are Paxi, Lefkada, Ithaki, Kefalonia and Zakynthos.